Germany’s new bike highway. Photo by Julian Schüngel/Flickr. The benefits of cycling—both for cities and people—are well known. 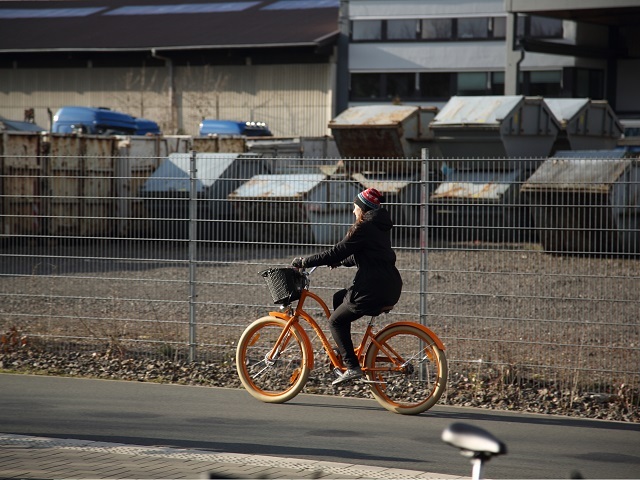 For individuals, cycling can be an efficient, safe and cheap form of mobility as well as a good source of physical activity, helping to reduce obesity and other health risks. On the other hand, mass cycling can help cities reduce air pollution, lower their greenhouse gas emissions and curb traffic congestion—which in turn provide enormous benefits to people. All these advantages raise the question of why more money isn’t spent on adequate bike infrastructure. For example, in the U.S. a recent survey found that less than 0.8 percent of transport spending in all 50 states is spent on bike-and-pedestrian-only projects. Here, we take a look at 3 projects currently in development that are expanding people’s access to jobs, good, services and more. A rendering for Hong Kong’s new bike path along the waterfront. Credit: Wing1990hk. 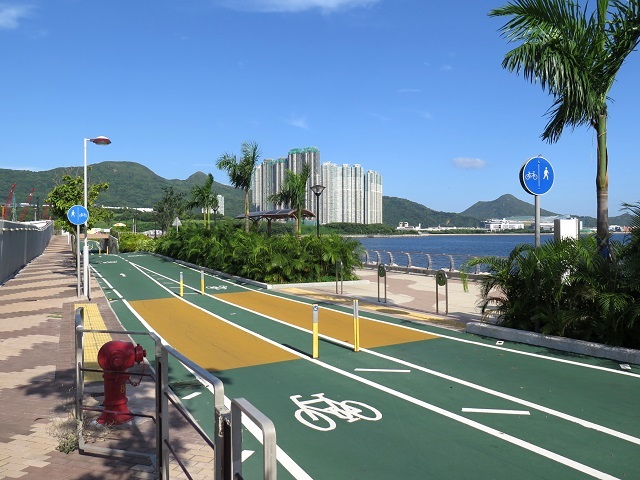 Hong Kong is currently expanding its existing cycleway with the New Territories Cycle Track network. With 104km (65 miles) of bike paths, this track will connect existing paths and will be equipped with bike rentals at entry and exit hubs, sanitation facilities, food kiosks and information points. While the project focuses on cycling for recreational purposes and enjoying the scenic views along the city’s beautiful promenades, it can also be useful for daily commutes and accessing friends and family in the area. Although construction began in 2013, the developers note that several challenges that have emerged. In particular, obstacles have included allocating space for tracks in areas that are already heavily developed, addressing residents’ concerns about increased noises levels during construction and coordinating with local authorities regarding the management of the facilities. Despite this, the project is slated to finish by late 2016. A stretch of Germany’s bike highway currently under construction. Photo by Radschnellweg Ruhr/Flickr. 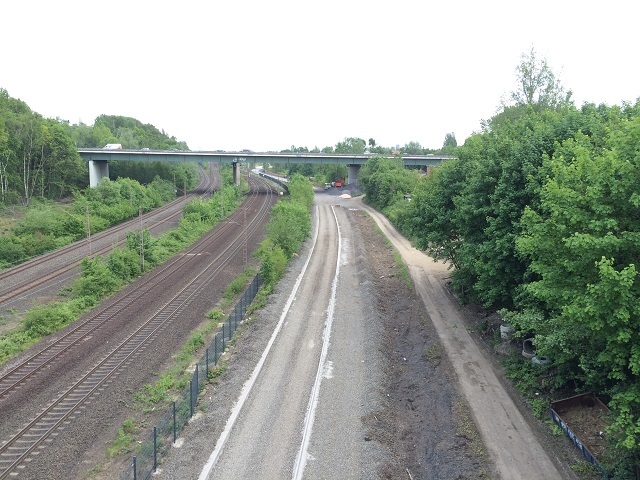 Germany began construction on a new bike highway back in 2010, but only recently opened the first part of what is to become a new 100km (62 miles) bike highway, which will connect 10 major cities in the Ruhr area, one of the largest metropolitan areas in Europe. In comparison to the track in Hong Kong, Germany’s new highway is less focused on the recreational user and more on everyday commutes. Therefore, it won’t include additional facilities like sanitation facilities, food kiosks and scenic views, but is designed to hold as much traffic as possible off the streets. It is estimated that the project could lead to up to 50,000 fewer cars on the roads daily when it is completed in the next few years. Kuala Lumpur’s dedicated bike highway. Photo by WPSamson/wikimedia. 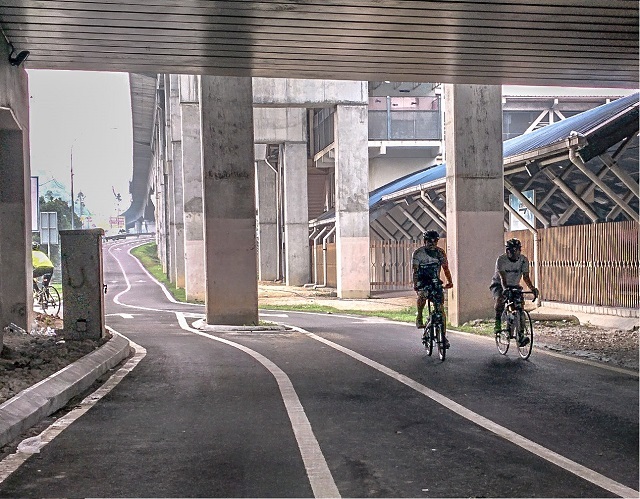 In Kuala Lumpur, an independent public initiative called Cycling Kuala Lumpur helped to push for a new dedicated bike path to help citizens avoid traveling through congested streets. This initiative also helps promote the use of bikes by publishing a map for the city that highlights the best routes for cyclists. Critics have argued that pollution and congestion in Kuala Lumpur will continue to serve as obstacles to scaling up bike infrastructure citywide. It remains to be seen whether the project can create an impact large enough to noticeably reduce traffic on key streets and change the predominant mentality. Despite this, the first stretch opened in 2015, with two new segments poised to open in the next few years. What other bike infrastructure projects are going on in the world? Share in the comments below!